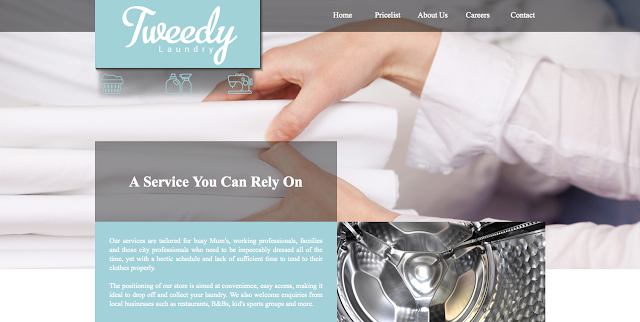 This week's website of the week goes to Tweedy Laundry. Tweedy Laundy's services are tailored for busy Mum's, working professionals, families and those city professionals who need to be impeccably dressed all of the time, yet with a hectic schedule and lack of sufficient time to tend to their clothes properly. Senior Project Manager Lanara, began firstly by creating the logo design. The client wanted it to resemble a washing label, with the three little icons below representing the main services. 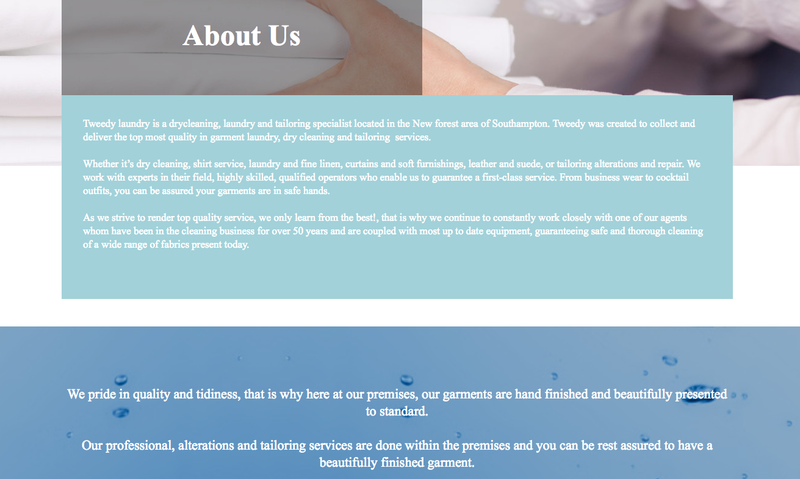 The choice of colour features a soft pale blue, which the website design then followed. The website uses a parallax scrolling technique, meaning the the images appear to stay fixed behind the website whilst the panels move. This gives the website some movement and fluidity. The price list page features a tabular layout formulae to clearly show the pricing system, and the careers page has been put together so that the client can easily and quickly update the page with any new vacancies or opportunities. The contact page features a Google map which pinpoints the exact location of the premises, to enable you to find directions and connect it to your GPS on your phone if need be. The client said that they particularly enjoyed the presentation and look of the final result, and kindly said that "Your service is superb! Keep up the good work!" What's on offer, for Black Friday? Making a deal, and how it benefits your business. Website of the Week: Rotary Club, London.